We are counted among one of the foremost names in Indian market for availing Typesetting Services. Our services help the clients in expanding their market horizon and reaching clients across topographical boundaries. We ensure that each and every document that is created is carefully developed after analyzing the macro typography of the original text so that it can accurately adapt to the target language. Depending upon the specific requirements of the clients, our services can be offered for any language. Typesetting is one of the early but most important steps of prepress procedures. It is the process of making an accurate graphical layout of the contents, and images that are needed to be printed. Professionals with exceptional skills and expertise in advanced design tools are required to produce an excellent quality output. 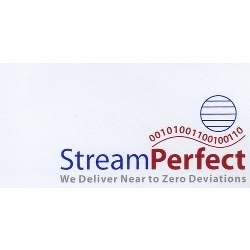 A team of top designers with years of industry exposure, Stream Perfect Global Services offers you one of the most competent typesetting services in the industry. We have specialists in carrying out typesetting for legal documents, magazines, journals, books, periodicals etc. in all subject area. 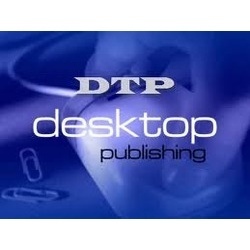 We accept typesetting draft as hardcopy and various electronic file formats. Our team has expertise in most advanced design softwares in the industry such as Adobe Indesign, Quack Xpress, Word Pagination, Frame maker, Adobe illustrator and Adobe Photoshop etc. With a proven track record, we can assure you that your work is done with utmost quality at affordable rates. In order to meet the variegated demands of the clients in educational segment, we offer reliable and flexible Outsource Typesetting Services. To ensure delivery of flawless output in different languages as required by the clients, we have hired a team of professionals which possess immense expertise in OCR Procesing, Typesetting, Composing, Pagination and copy editing. Further, to make accurate presentation of converted text as like original, these professionals make use of advanced and interactive software such as In Design, Page Maker, Illustrator and Corel Draw. Framed and executed by a team of talented professionals, our services for Multilingual Typesetting Service in India are widely acknowledged for their accuracy, reliability, efficiency, effectiveness, timely deliveries and various other attributes. Carefully analyzing the requirements of the businesses of the clients, these professionals frame solutions that help in overcoming the language barrier and establishing the product image. Further, these professionals design the solutions overcoming the budget and time constraints. Backed by a team of highly experienced and talented, we have been able to offer unmatched Type Setting Solutions Service from India to our clients. Having hands on experience in typesetting, composing, pagination and copy editing, these professionals carefully understands the requirements of the clients and render best solutions from their end. Moreover, the team makes use of advanced software in rendering the solutions. 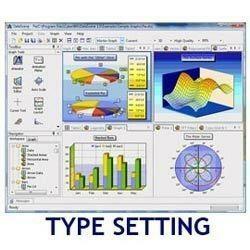 Our expertise in the domain has helped us in handling Type Setting - Multi Languages Service in India. Executed and accomplished by a team of skilled linguists, our services are widely appreciated and demanded due to their result oriented nature, high level of accuracy and various other remarkable attributes. Moreover, the proficiency of these professionals assists us in completing each and every project within given time schedules. With the globalization of the market, there arises the need of localization and to meet this demand of the clients, we bring forth highly effective and accurate Multi Language Typesetting Services in India. Our services help clients in translating the various documents as well as doing linguistics changes so that their offered product suits the target market and its culture.